in King City! This hometown hootenanny has everything one could want out of a county fair including a carnival, livestock exhibits, fair food, concerts, and more! Thursday-Sunday from 11am-10pm. 625 Division Street, King City. $8 for adults, $6 for seniors 60 and over, $6 for youth ages 6 through 17, and free for children under 6. Carmel-by-the-Sea is taken over by artists and art enthusiasts this weekend during the Carmel Art Festival. Centered around the visual arts, the festival features sculptures in Devendorf Park, a juried plein air painting competition, art activities for children, live performances and more. In addition, galleries throughout Carmel will hold receptions and demonstrations throughout the weekend. Thursday-Sunday. Devendorf Park, Carmel-by-the-Sea. Free event. 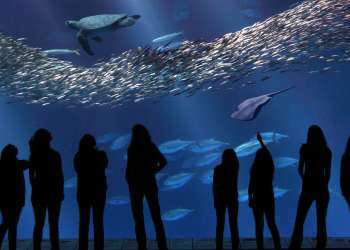 Celebrate sustainable food and wine with the Monterey Bay Aquarium at Cooking for Solutions. 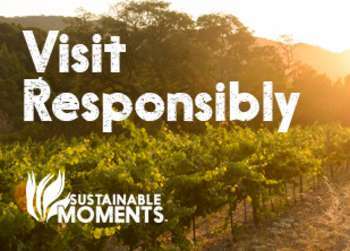 Celebrity chefs known for their work promoting sustainable food will present demonstrations and host events throughout the weekend. The event features special guest chefs including Carla Hall, Alton Brown, Sam Choy, Richard Blais and more! Friday-Sunday. 886 Cannery Row, Monterey. Various ticket prices. Rev up those engines for Ferrari Racing Days at Mazda Raceway Laguna Seca! Three full days will be full of racing with the Ferrari 458 Challenge along with historic Formula 1 cars and Corse Clienti programs. Friday-Sunday. 1021 Monterey-Salinas Highway, Monterey. Various ticket prices. The Monterey Symphony presents their latest concert titled Splendor this weekend. Performances will include works from Brahms, Liszt and Respighi. Friday at 7:30pm at Sherwood Hall in Salinas and Saturday at 8pm and Sunday at 3pm at the Sunset Center in Carmel-by-the-Sea. Various ticket prices. Stand-up comedian Steve Trevino is at Planet Gemini this Friday and Saturday for a hilarious improv act. Stay afterwards for karaoke and dancing. Friday and Saturday at 8pm. 2110 Fremont Street, Monterey. $10. This Saturday and Sunday head to Custom House Plaza near Old Fisherman&apos;s Wharf and scope out some of the hand crafted gems for sale at the Springfest Arts & Crafts Faire. You will find all sorts of art pieces including jewelry, paintings, sculptures and more. Saturday and Sunday from 9am-5pm. 4 Custom House Plaza, Monterey. Free event. Santa Cruz jam band Matt Masih & the Messengers stop by Fernwood Tavern in Big Sur tonight. 9pm, 47200 Highway One, Big Sur. Free event. Over 200 of the world&apos;s finest sports and racing bikes will be on display at Quail Lodge & Golf Club today. The 6th annual The Quail Motorcycle Gathering celebrates two and four-wheeled vehicles alongside luscious wines and gourmet cuisine. 10am-3:30pm. 8000 Valley Greens Drive, Carmel Valley. $75. 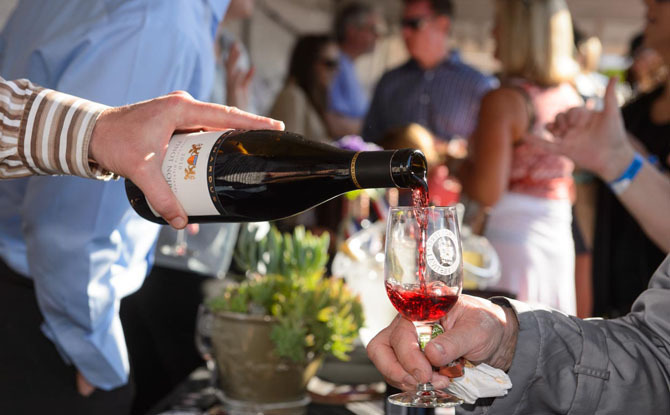 Raise a glass to Salinas Valley wine artisans at the Santa Lucia Highlands Gala. Held at the Mer Solei Winery, the wine tasting event will host over 30 wineries pouring their most rare and select wines. Live music and gourmet bites will also be available. 1pm-4pm. 1290 River Road, Salinas Valley. $85. Author Arthur Hoyle stops by the Henry Miller Library to discuss his new Miller biography entitled "The Unknown Henry Miller: A Seeker in Big Sur." 4pm. 48603 Highway One, Big Sur. Free event, click here to register. Don&apos;t miss out on the dirt-slinging, non-stop action of the Monster Truck Jam at the Salinas Sports Complex today. Appearing monster trucks include Grave Digger, El Diablo, Mohawk Warrior, Titan, and more! Come early and enjoy delicious food and family fun activities. Gates open at 12pm and show begins at 2pm. 1034 North Main Street, Salinas. $22 for adults and $11 for children. Hit the trails this afternoon with guides from the Monterey Peninsula Regional Parks District. Today they will explore Palo Corona for amazing views of Carmel and Pebble Beach. Don&apos;t forget to pack water and snacks for this 2 hour hike. 3pm. Palo Corona, Carmel. Free event.